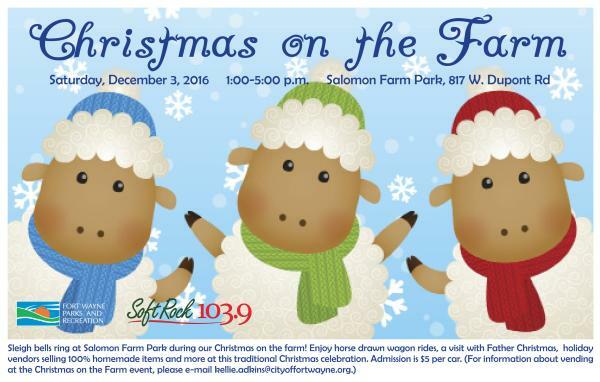 Posted on November 18, 2016 at 8:00:00 am by Jessica B.
Christmas on the Farm at Salomon Farm Park is a great family event in Fort Wayne. 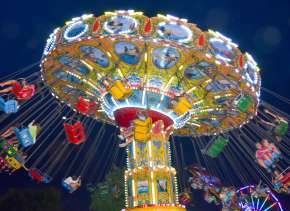 My husband, children, and I have attended the past two years and plan to do so again in 2016. 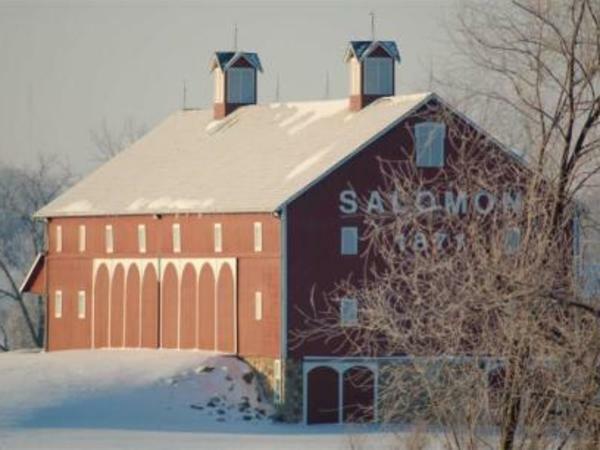 Salomon Farm is a city park, but it’s also a large, working farm. You’ll see fields, animals, and farm buildings at Christmas time. Our local Parks & Recreation Department keeps it affordable at $5 per car. Last year my kids brought friends at no extra cost. 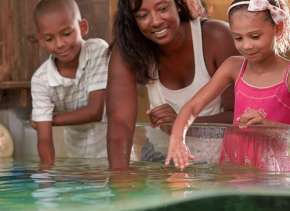 Some of the highlights include a horse-drawn wagon ride, and a chance to pet live farm animals. New this year is a Candy Land scene – I anticipate this being a great photo opportunity for families. The event is December 3, leaving enough time to include Christmas on the Farm photos in your Holiday card! Expect light refreshments such as hot chocolate and pretzels. Christmas on the Farm also features live entertainment. Last year we especially enjoyed the mime troupe. The large barn is decorated with a traditional, woodland feel. Kids can visit the man in the red suit, but this is one day he won’t answer to the name “Santa Claus.” His name is “Father Christmas” at Christmas on the Farm and he dresses the part. This is another great photo op for your Holiday card. Insider’s Tip: Bring cash for Holiday gifts. 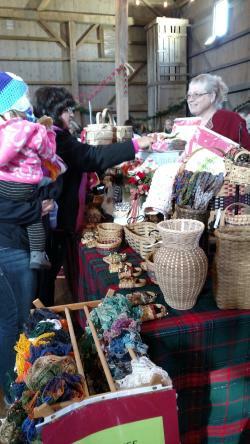 The event features a crafter’s market including handmade soaps, candles, and many seasonal items. Christmas on the Farm is Saturday, December 3, 2016, from 1 – 5 PM. The event is filled with traditional Christmas cheer, and is the perfect way to get into the Holiday spirit. 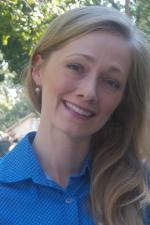 Jessica was born, raised, and educated in Fort Wayne, Indiana. 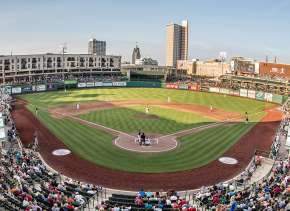 A brief stint in two other Hoosier towns solidified her commitment to our beautiful and growing city. 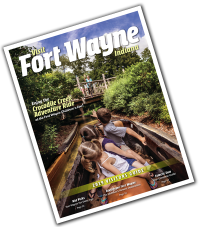 She loves introducing visitors to the music and food of Fort Wayne, and she spent three years as the resident blogger and photographer for the Fort Wayne Children's Zoo.